Boundary Lakes Golf Course is a new 18-hole, par 69 parkland golf course, complete with USGA standard greens and five lakes, set against the iconic backdrop of the Ageas Bowl and is sure to offer a stern test for both high and low handicappers. The stunning course is the result of five years’ meticulous planning, and is a typically clever Bruce Weller design, framed by mature woodland whilst making the most of natural undulations and the lakes which give the course its name. The signature 18th hole will inspire and challenge, closing a round in breathtaking fashion. 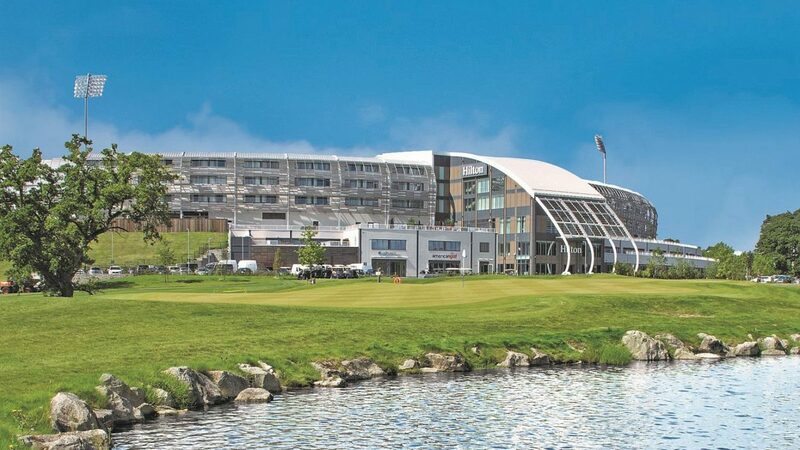 Off-course facilities are all housed within the luxury 171-bedroom Hilton at the Ageas Bowl hotel, which overlooks the course and offers unrivalled comfort and style. A drink or meal in Lakeview Sports Bar, the brand new luxurious clubhouse – The Boundary Club or in Sir Ian Botham’s flagship restaurant BEEFY’S can be followed by the time to relax in eforea spa. This makes Boundary Lakes truly unique. A golf experience that is beyond first class. Packages are available Monday-Sunday and can be tailored to meet any exact need, courtesy of a range of bespoke add-ons. Boundary Lakes is easily accessible from the M27 (J7) and close to Southampton Airport as well as Southampton Parkway & Hedge End Train Stations. hotel, which overlooks the course and offers unrivalled comfort and style.